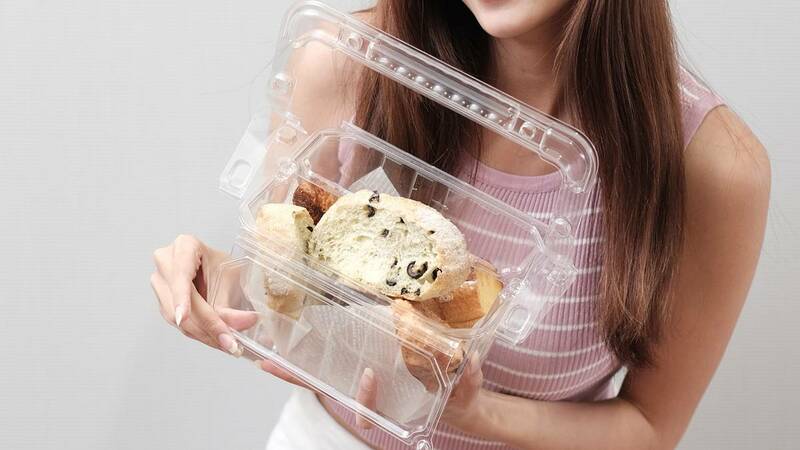 GRIP B Disposable packaging container is also with the hinged structure that split lids are connected with the container. With this one-piece formed design, the lids would not be dropped since normal 2 pieces design container easily got lost its lid. The buttons on the lids are also specially designed as just press them and the tightness is good. Check further features at the next page.